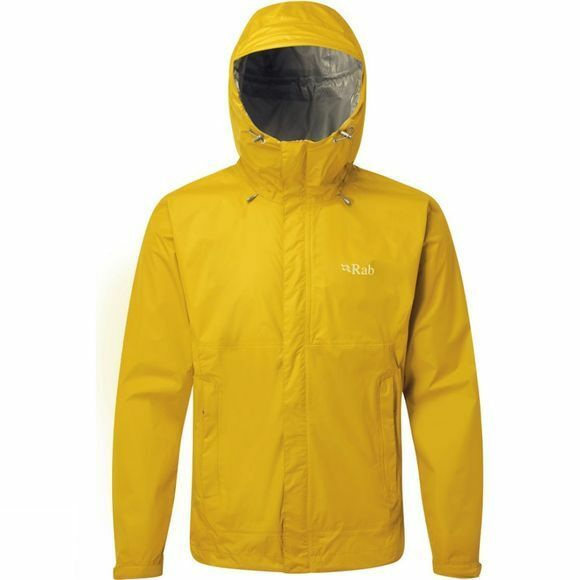 The Men's Downpour Jacket from Rab is a lightweight, packable, waterproof jacket with excellent breathability. Pertex Shield+ 2.5 layer fabric with Dry Touch offers high levels of wind and water protection with excellent breathability for fast moving outdoor athletes. YKK zips are used throughout; a full length zip, two hand zips, and two pit-zips for ventilation provide great detailing. A fully adjustable hood with a flexible polymer peak keeps the weather at bay, while the Velcro adjustable cuffs and hem drawcord allow a tailored fit.